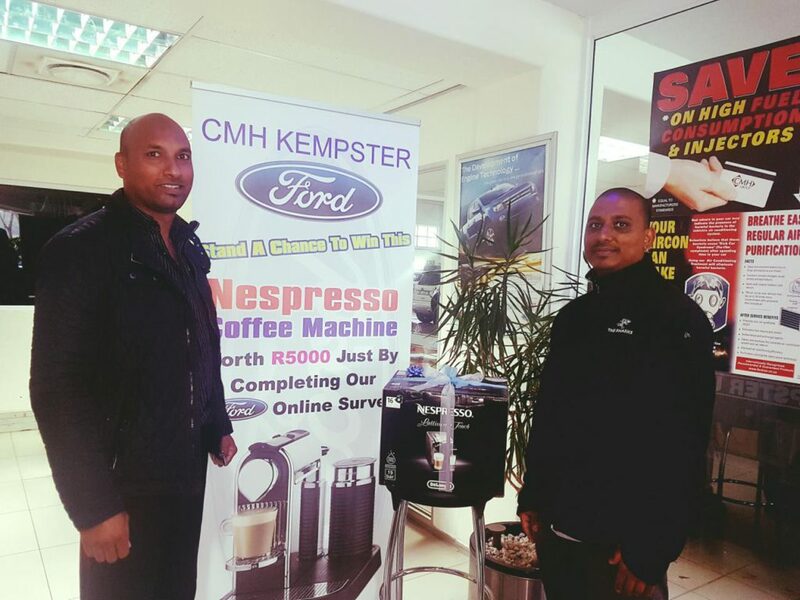 Over the course of 3 Months at CMH Kempster Ford Umhlanga, we have been asking our customers to complete an online survey and rate the service in our customer service department after they have had their vehicle serviced at our workshop. 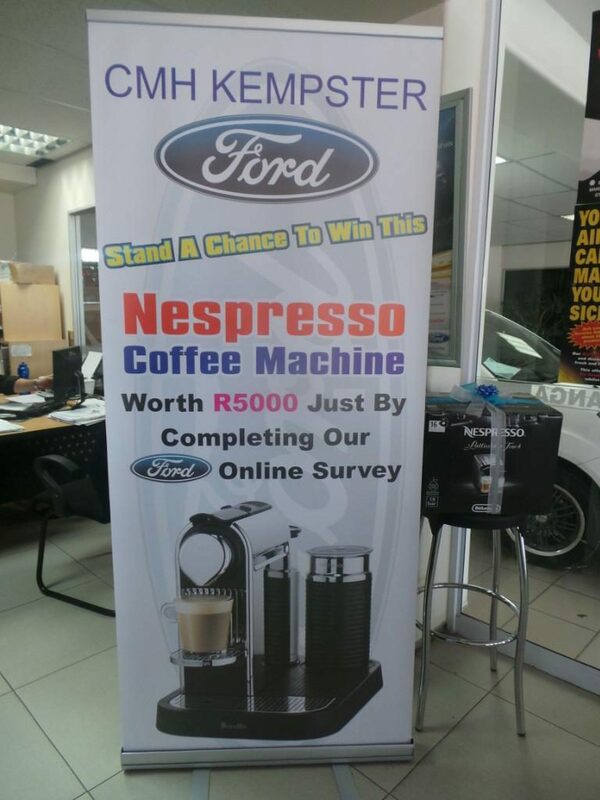 By completing our survey customers would stand a chance to win yourself a stunning Nespresso Coffee making machine valued at R5000. 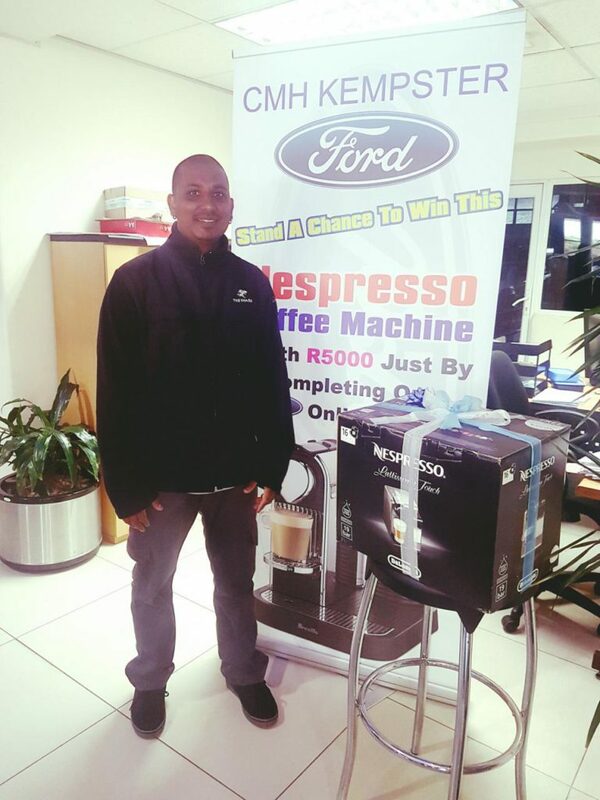 At the beginning of February our competition came to an end and we had a draw, our winner was randomly selected among over 1000 entries. We would like to Congratulate Mr Rivesh Rajbans for winning this amazing prize, We do hope that he will enjoy making delicious coffee for himself and his family, and we hope he will continue to support us as one of our loyal customers. 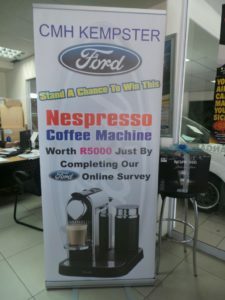 We would also like to thank all our customers who showed interest in the competition and taking their time to complete the online survey. 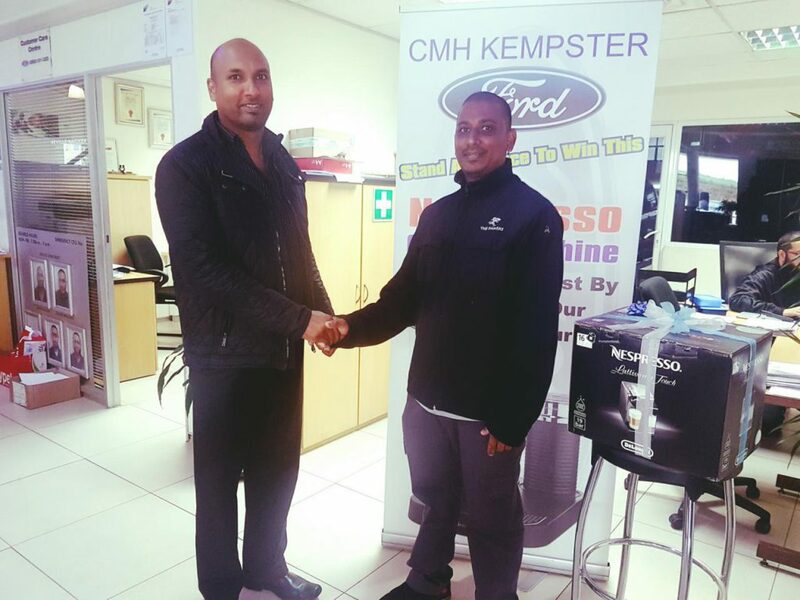 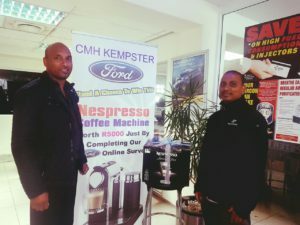 The feedback we have received has been humbling, and has got us as a company thinking about how we can make our service department better and efficient for everyone, because at CMH Kempster Ford Umhlanga creating happy and satisfied customers is our number one priority.